1. They are surprisingly dangerous. The area in red is the hippo’s historic range. The areas in green are where hippos can be found today. According to the African Wildlife Foundation, hippos kill around 3,000 people annually. To put that in perspective, lions kill about 70 people per year on average and last year there were fewer than 500 fatal shark attacks worldwide. 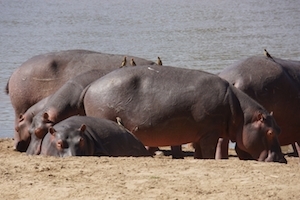 Hippo attacks can occur in water or on land, often without obvious provocation. 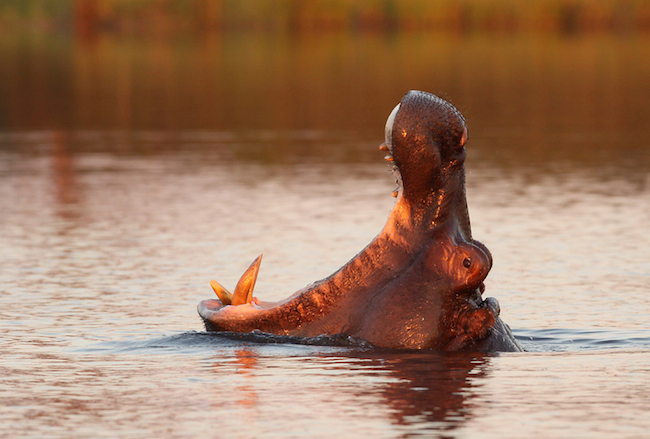 Still, not surprisingly, humans are for more dangerous to hippos than they are to us. Hippos are listed as a vulnerable species by the International Union for the Conservation Nature. Threats such as illegal hunting for their meat and ivory and habitat loss, exacerbated by drought, have lead to steep declines in hippo numbers in recent years, especially in areas of political and economic instability. 2. They are surprisingly loud. 3. They are surprisingly fast and can walk farther than you might expect. Given their short, stubby legs and exceptional girth, it seems remarkable that hippos have been clocked running on land at 18 miles an hour over short distances and walk an average of six miles per night in search of food. 4. They sleep under water. Hippos spend about 16 hours a day in the water. While awake, they can hold their breath for up to five minutes. While they sleep in the water, they surface automatically and breathe without waking up. Hippos can’t survive for long out of water because their skin is extremely sensitive to direct sunlight, which is why they secrete a red, oily substance, once thought to be blood, that serves as both a sunscreen and an antibiotic. 5. Their closest living relatives are whales. Until relatively recently scientists believed, based on the fossil record, that the hippo’s closest living relatives were pigs. But more recent DNA evidence indicates that hippos are more closely related to cetaceans and that they shared a common ancestor as recently as 55 million years ago. 6. They are critical to healthy ecosystems. Hippos are ecosystem engineers. Because of their massive size, they create new paths and channels as they move through the water and between water and land. Water flows through these channels during the wet season, which creates new habitat and shelter for birds, insects, and other species. And in the dry season, the lagoons left behind provide a safe haven for small fish and other creatures. Hippos are also critical to the health of wetland ecosystems because of the role they play, through defecation, in fertilizing the water. Thanks hippos. Searching for the best time to travel to Africa? Want to see reviews of lodges and safari camps? iSafari.com has everything you need to start planning your African safari. The World’s Greatest Mammal Migration? That sound clip is so cool! © 2019 iSafari.com and Natural Habitat Adventures. All Rights Reserved. 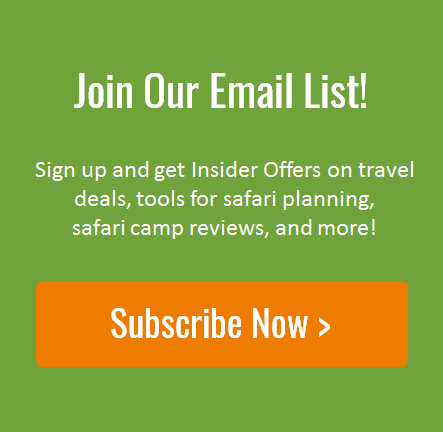 Safari discounts and special offers in your inbox?